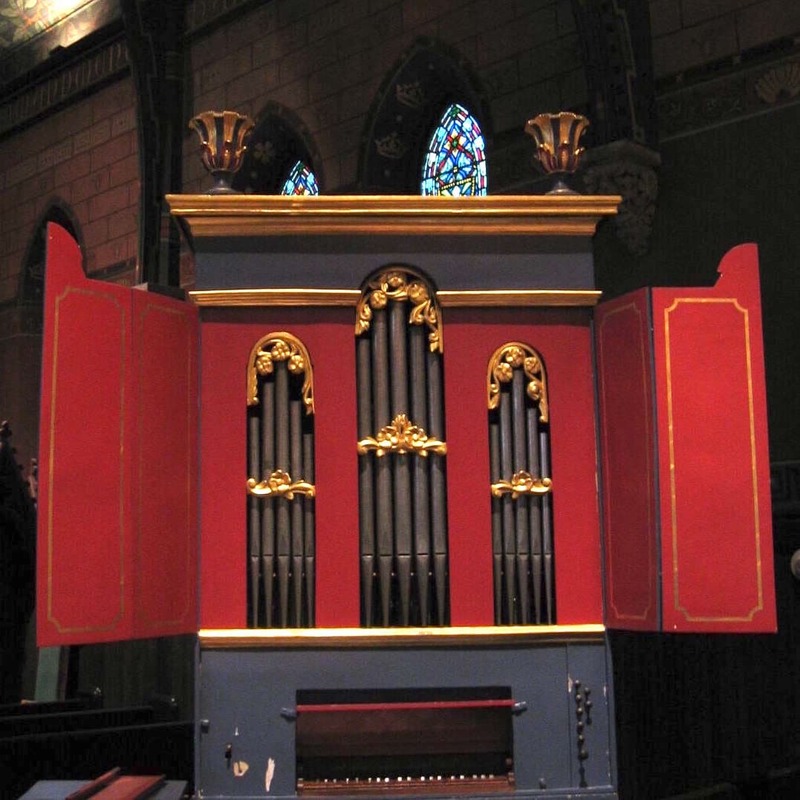 This original 18th-century Italian organ built by Augustinus Vicedomini in 1746 was purchased by Cornell in 2000 from the collection of musicologist, conductor and keyboard player Alan Curtis. Restoration work had been carried out by the Italian firm of Formentelli prior to the instrument coming to the U.S., and further restoration was done at Cornell in two phases, by Greg Harrold (Los Angeles) and by Munetaka Yokota (GOArt). The instrument has a very lively character, and with its meantone temperament, and highly vocal quality, is a fine vehicle for keyboard music from the 16th to 18th centuries.